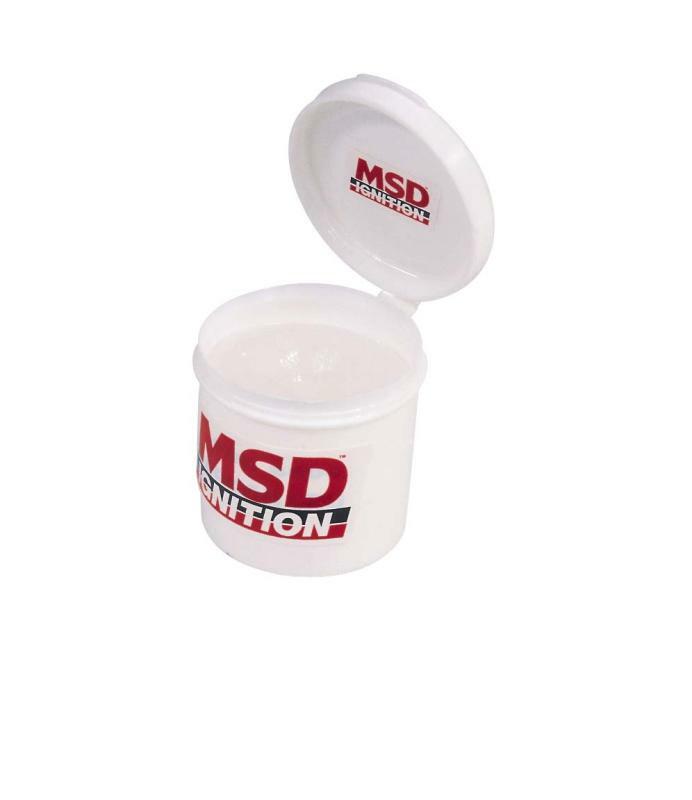 MSD’s Spark Guard is a dielectric grease that solves many common ignition problems. Just a small amount of Spark Guard inside the boot will stop voltage leaks, ease boot removal, prevent moisture build-up and even add EMI protection. The grease will not harden or dry up so it retains its spark isolating capabilities indefinitely.